WOW! 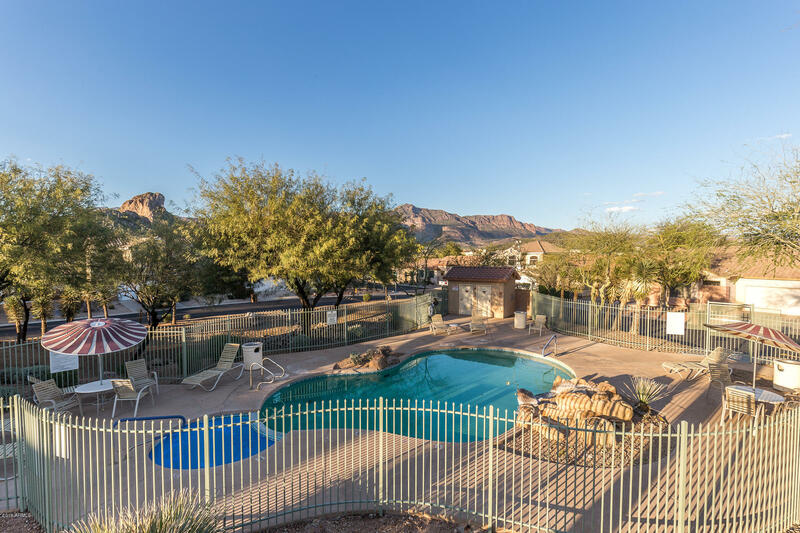 ***AWESOME SUPERSTITION MOUNTAIN VIEW, ***NEW HVAC and Gated Community with ***HEATED COMMUNITY POOL in the heart of Gold Canyon across from the Gold Canyon Golf Resort! You'll love the feel of the soaring high ceilings as you enter this spacious home! You will appreciate all the room you get for the price, the rare extra half bath, UPDATED KITCHEN CABINETS, neutral tile flooring and STAINLESS APPLIANCES! Relax outside on your spacious covered patio plus expanded uncovered patio with multiple seating areas and enjoy the RARE MOUNTAIN VIEWS! This home is also conveniently located across the street CLOSE TO COMMUNITY POOL & SPA You don't want to miss this opportunity to live in this POPULAR NEIGHBORHOOD! MUST SEE!